Consumers advertising for brands is nothing new. But the role of user-generated content (UGC) in marketing is—and it’s not going away. Smart marketers see the value behind consumers telling their brand story and advertising for products by sharing genuine content. Today’s millennial population sits at about 1.68 billion. They trust UGC content 50 percent more than any other media. Trust greatly affects their buying decisions, peer recommendations, and social influence. Social influence is the power to inspire consumers to market with brands. In a world full of digital distractions, how do marketers get enough consumers to share UGC that inspires greater brand love and further social influence? We know a brand that did exactly that. Enter Georgia State University (GSU). The assistant director of social media, Terry Coniglio, tells us that “We struggle with engagement, both physically and digitally.” Even the most socially-savvy brands out there are challenged by audience participation—especially when their audience is millennials. Coniglio’s main goals are to tell the university’s story (or add a little personality) and sell the university in a global market. “We have many different communications outlets both online and in-print, but social media is the best way for us to tell our day-to-day story and show the university’s personality,” she tells us. 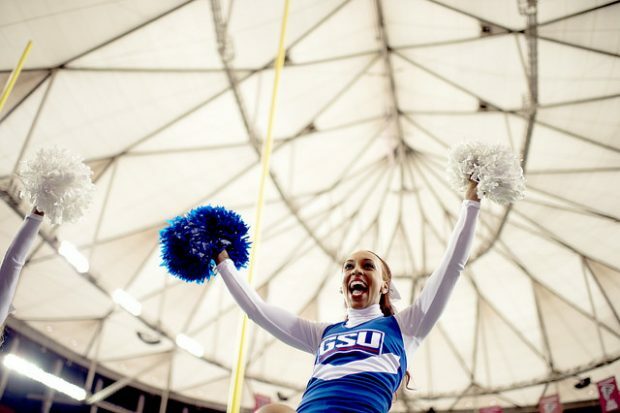 Much of GSU’s social media strategy looks at different ways to engage prospective students, promote school spirit among current students, and get alumni more involved. As an urban campus, students have more opportunities to integrate themselves into the city, but it’s also harder for the university to foster school spirit—or brand love. But we’re not talking just your average daily engagement. To move from engagement to social influence, GSU has to inspire students to share their version of the university’s story on their personal channels. 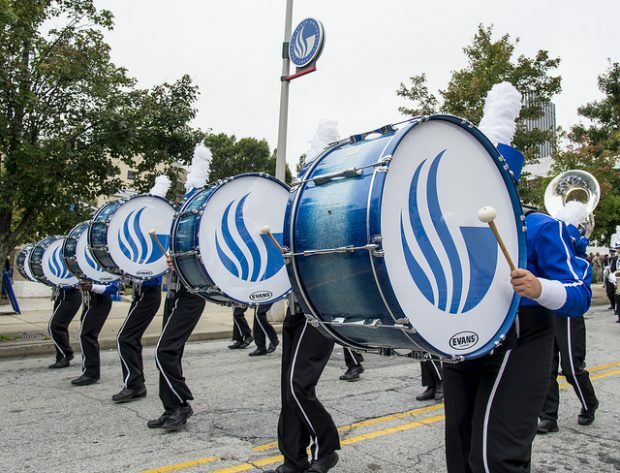 With so much school spirit and participation already taking place around Homecoming, GSU created a campaign that would leverage this engagement and turn it into social influence. 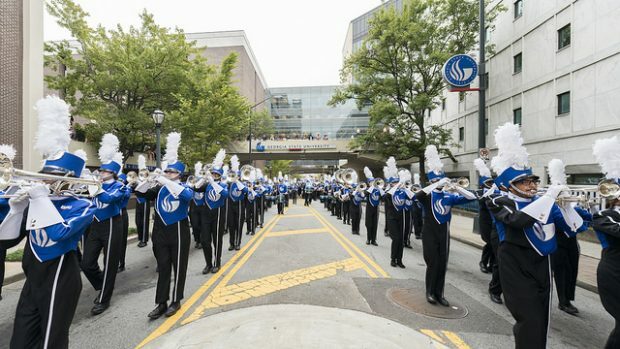 In an effort to bring all of GSU’s eight colleges, urban campuses, and hundreds of departments and students together, Coniglio chose the hashtag #GSUnited for the 2015 Homecoming. The hashtag was simple and it connected with people emotionally. Prior to launch, Coniglio got buy-in and promise of support from other departments such as the athletics department and student influencers. Having their support meant greater promotion and more student awareness of the hashtag. With students sharing Homecoming #GSUnited selfies and content in the midst of the event, Coniglio wanted to showcase it all and keep school spirit high. This was their tipping point. While Hootsuite helped her collect and curate the best of UGC for #GSUnited, one simple click sent it to TINT to be displayed in a social feed on any digital screen. Think live feeds of beautifully displayed UGC on jumbotrons, digital billboards, websites, or phones. What better way to boost social influence than by rewarding their most engaged fans with 15 minutes of fame? This approach fuels more audience participation, boosts brand love, and gathers more UGC to market better. Win-win. The 2015 Homecoming campaign was a huge success. The departments rallied together to engage students and showcase the university’s playful side online. The previous year’s Homecoming had 380 social mentions. This campaign was 216 percent higher, with over 1,200 mentions on social media. That is three times the normal weekly engagement for the university. The #GSUnited Homecoming campaign even earned GSU a CASE District III award for their great social media strategy. GSU’s events now run smoother and are more successful because it’s easier to source great content and close the loop between social, web, and reality. They needed a way to make their lives—and communications with students—a little more social and they did just that. Learn more about how Georgia State University brought their content and community together with TINT + Hootsuite.